Saudi Arabia and several of its allies, mainly Gulf Arab countries, have been trying to drive back the rebels, who seized the capital of Sanaa in September and have overrun many other northern provinces with the help of security forces loyal to former President Ali Abdullah Saleh. 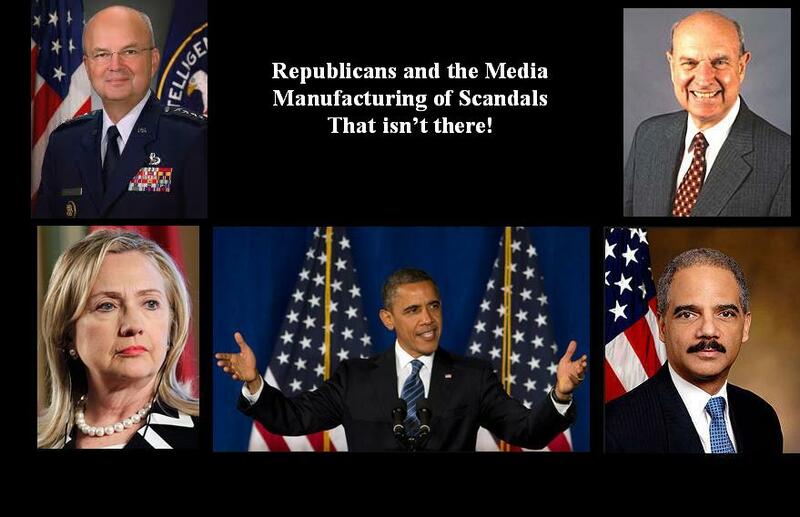 The U.S. supports the Saudi campaign. The U.S. has been providing logistical and intelligence support to the Saudi coalition launching airstrikes against the Houthis. That air campaign is now in its fourth week, and the U.S. has also begun refueling coalition aircraft involved in the conflict. 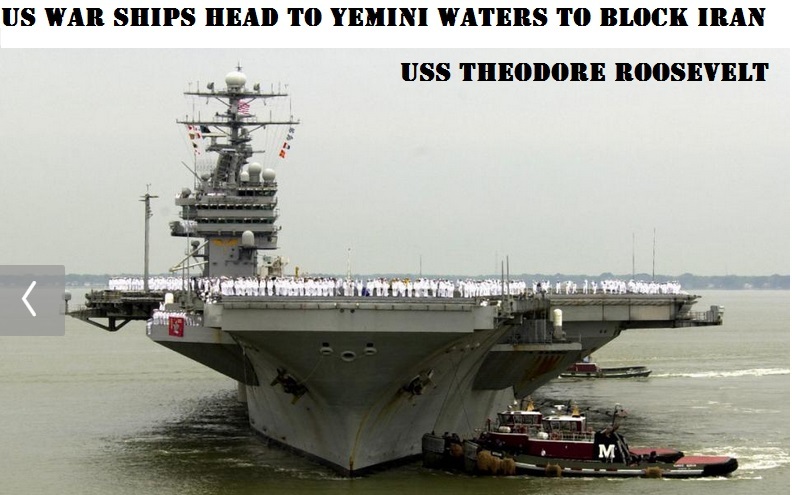 Officials said it’s too soon to speculate on what the Navy ships may do as the Iranian convoy approaches, including whether Iran would consent to a boarding request, and what actions the Navy would take if its request was refused. Yemen, the Arab world’s poorest country, has been pushed to the brink of collapse by ground fighting and the Saudi-led airstrikes in support of current President Abed Rabbo Mansour Hadi, who was forced to flee to Saudi Arabia. 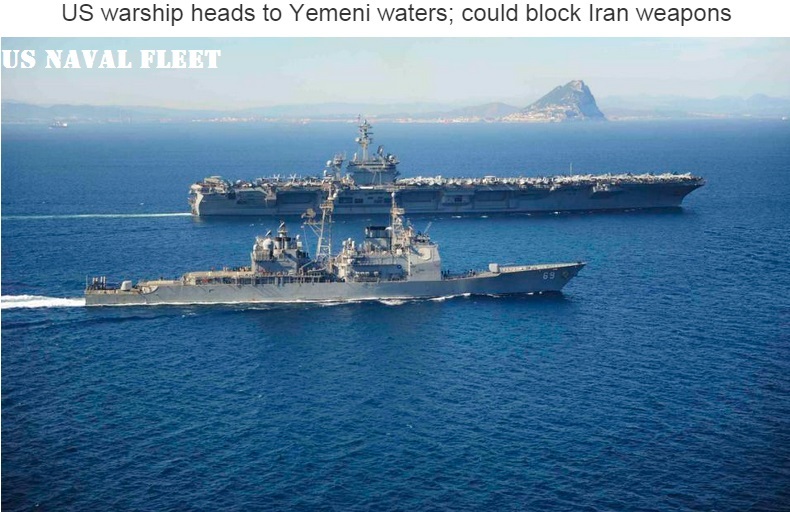 Observers say the fighting in the strategic Mideast nation is taking on the appearance of a proxy war between Iran, the Shiite powerhouse backing the Houthis, and Sunni-dominated Saudi Arabia. Associated Press writers Jim Kuhnhenn in Washington and Ahmed al-Haj in Sanaa, Yemen, contributed to this report. People understand Ms. Diane Foley’s grief but her misleading account, is a disservice to her son and the US Military that risked their lives in attempt to rescue James Foley and other Hostages. 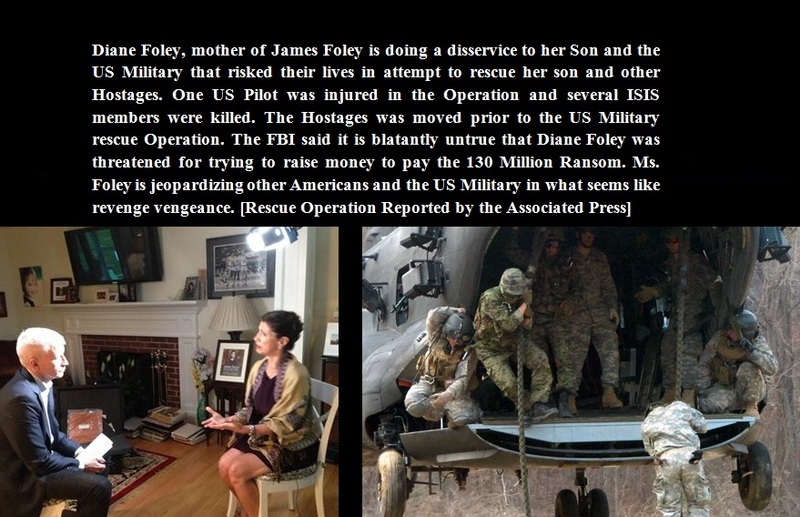 Diane Foley, mother of James Foley is doing a disservice to her Son and the US Military that risked their lives in attempt to rescue her son and other Hostages. One US Pilot was injured in the Operation and several ISIS members were killed. The Hostages was moved prior to the US Military rescue Operation.